Held at the NEC, Birmingham from 9-11 April 2019, The Security Event is a major new exhibition, which gives you the opportunity to network with like-minded professionals, meet new suppliers and connect with your industry. The Security Event brings together a world-class education programme, market leaders and industry experts, to make it the most hotly anticipated exhibition for UK security professionals in 2019. Hosted by Western Business Exhibitions (WBE), part of Nineteen Group and powered by Security Essen, The Security Event offers the opportunity to bring together the best and brightest the industry has to offer. The Security Event has been developed with support from a key group of the industry’s major players, to deliver a world-class exhibition dedicated to UK security professionals, installers and integrators. It is proud to have support of its 10 founding partners – Anixter, ASSA ABLOY, Avigilon, Comelit, Honeywell, TDSi, Texecom, Tyco and Videcon. This level of involvement ensures the exhibition covers the latest trends and innovations while addressing the evolving challenges facing the industry today. FREE registration for 4 shows! Your ticket for The Security Event will allow you access to four co-located shows as three other highly successful and established exhibitions from the WBE portfolio sit alongside The Security Event, namely The Fire Safety Event, The Health & Safety Event and The Facilities Event. Register to attend The Security Event now and recommend a colleague to join you and you’ll be entered into a draw to win a voucher for a driving day where you can race a supercar, go kart, classic car, 4×4 and more! Live the dream that every car enthusiast has fantasised about with an adrenaline fuelled drive around the tracks in the car of your choice. Feel the hum of the engine for a trip in the fast lane. From Ferraris, Aston Martin’s and Lamborghini’s to unique tank paintballing battles, or jump on a quad bike for a bumpy but thrilling ride. This voucher allows the winner to pick from numerous experiences at variety of locations throughout the UK. 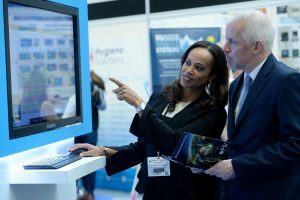 With one free visitor badge, you will be able to access 350+ of the best suppliers, 120 hours of CPD-accredited content delivered by 100 expert speakers all under one roof. Clear your diaries, and start planning for an amazing week of learning, business and networking.